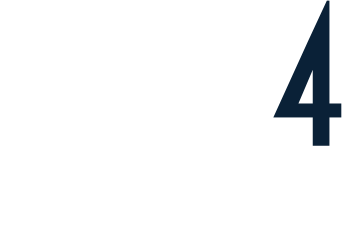 "I am very passionate about raising funds for the Stroke Foundation as they are part of the reason that I am alive today. Through their hard work I had access to the Victoria Stroke Telemedicine program in my local Victorian rural town a 3 hour drive from Melbourne. My care worked like clockwork. From the time that I collapsed and suffered from Locked In Syndrome due to my Basilar Artery Clot, to the time I arrived at Royal Melbourne Hospital was only 5 hours. This quick action by all involved meant I walked out of hospital 3 days later just in time to celebrate my son's 3rd birthday. I have no deficits from my life threatening stroke and every time I went for my run during Stride4Stroke I ran for every person stroke took from us and every survivor who can no longer do this. I have a second chance at life so I'm going to use every moment." Few people think about stroke until it touches their life – a parent, a sister, a child, a friend…struck down. It can happen to anyone at any age. Stroke changes the lives of families in an instant. Did you know that stroke is one of Australia’s biggest killers? It kills more women than breast cancer and more men then prostate cancer. In fact, every 9 minutes a stroke attacks the brain of someone in Australia. 19 percent more likely to suffer a stroke than those in metropolitan areas. Patients who received stroke unit care are more likely to access the best treatment. The good news is that researchers and health professionals across Australia and around the world are constantly working to improve treatments, enhance recovery after stroke and perhaps even find a cure. But they can’t do it alone. Your efforts in raising funds means that researchers are given the time and resources to do their work. Stroke survivors and their families have support not just in the immediate aftermath of a stroke, but along the whole journey of recovery – however long that takes. Plus of course you are being healthy, which reduces your own risk of stroke.